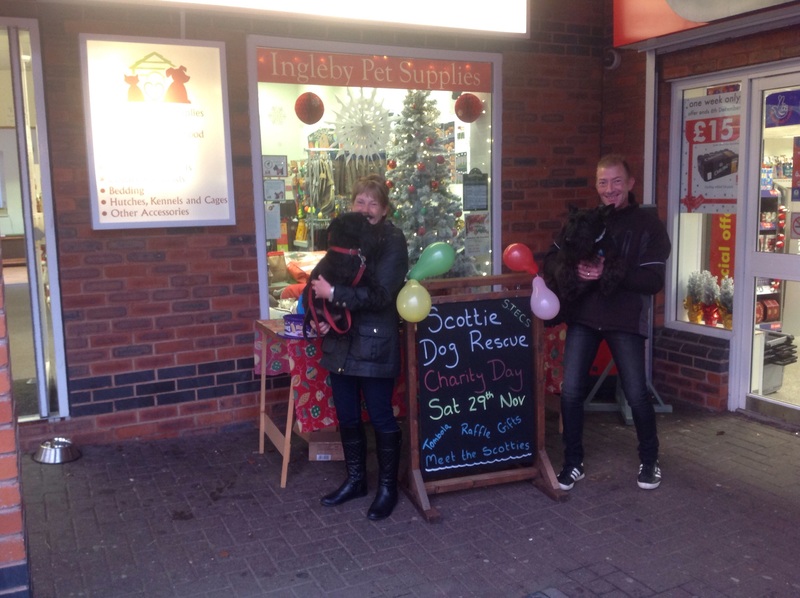 Thank you everybody who both supported and attended our recent STECS Scottie day at Ingleby Pet Supplies. 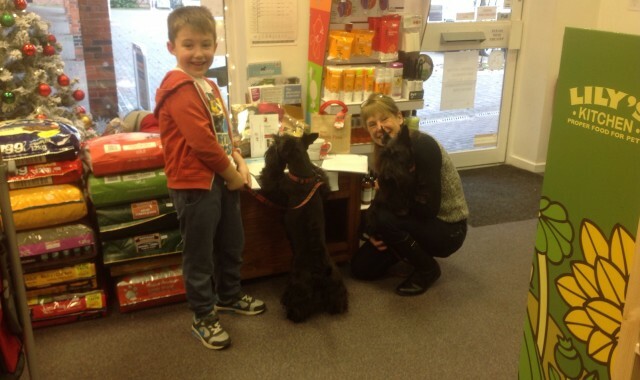 A great day was had by all and we had both Scottie’s and their owners visiting the store. STECS Scotties Oliver and OJ attended the morning session to meet and greet customers and STECS Scotties Angus and Sandy took over in the afternoon. The chocolate tombola was a great success and with the chance of winning a bone shaped luxury dog hamper and doggie gift bags lots of raffle tickets were sold. A total of £136.00 was raised from the proceeds of the day. The fund raising continued at my work place with a further two raffles with another dog hamper and doggie gift bags on offer and more tubs of chocolate to be won. A further £146.00 was raised for STECS. The grand total raised is £282.00. 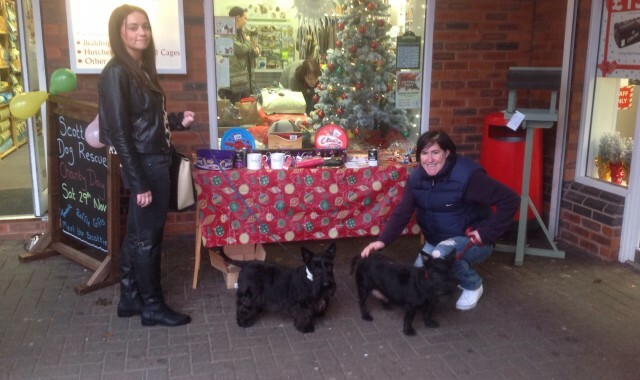 Thank you to Dawn of Ingleby Pet Supplies for allowing us to hold our Christmas Scottie day and for all the support she gives STECS and to Ruth Peyton for her very generous donations of the luxury dog hampers, dog gift bags and fantastic dog logo mugs and balls. We loved having you here for the day ! Looking forward to the next one.